resources. Minerals such as tin, iron ore, coal, limestone, niobium, lead and zinc are all present in high quantities, while the sheer size of the state translates into a large amount of arable land. Activities in the mining sector began to nose-dive considerably during the mid-1970s due to a number of political and economic factors, especially the focus on crude oil production as a major source of foreign exchange. highly trained and dedicated staff, extensive expertise in all types of contract, adherence to quality standards that meet Nigerian, British and US specification, and expertise in the importation of equipment and materials. Further, PW Nigeria has built up experience in international and local financing, understanding how to analyse the financial viability of its projects and ensuring people on the ground keep costs under control. angote Cement Plc is Africa’s leading cement producer with three plants in Nigeria (Gboko, Benue State, Obajana, Kogi State and Ibese, Ogun State). Dangote Cement also has operations in 17 other African countries, namely: Ghana, Ethiopia, Tanzania, Cote d’Ivoire, Senegal, Cameroun, Liberia, South Africa, Kenya, Zambia, Sierra Leone, Congo, Zimbabwe, South Sudan, Chad, Mali and Niger. The company is also about to set up a cement plant in Nepal. Dangote Cement is a fully integrated quarry-to-customer producer with production capacity of up to 29.3 million tonnes in Nigeria. The Obajana plant is the largest in Africa with 13.25 million tonnes capacity across four lines. The Ibese plant has four cement lines with a combined installed capacity of 12 million tonnes. The Gboko plant has four million tonnes capacity. Through its recent investments, Dangote Cement has eliminated Nigeria’s dependence on imported cement and is transforming the nation into an exporter serving neighbouring countries. In 2015, Dangote Cement commissioned its plants in four African countries: Ethiopia (June 4), Zambia (August 4), Cameroon (August 27), and Tanzania (October 10). The plant in Congo, Brazzaville, was commissioned on November 23, 2017. The other plants spread across African countries are at various stages of completion. Dangote Cement has adopted a policy Xxxxxxxx xxxxxxxx xxxxxxxxxxx xxxxxxxxx of continuous expansion especially across Africa because cement is an essential building material with no viable substitute, and Africa will need billions of tonnes in the coming decades as governments in Africa focus on addressing the continent’s infrastructural deficit. echnical Mechanical Services (TMS) is one of Europe’s leading suppliers of genuine and original spare parts for mining, quarrying, civil engineering and plant hire machinery. 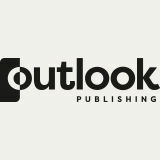 Headquartered in Liege, Belgium, where it also runs a central warehouse, the company draws on more than 30 years of experience in the field, with presence stretched across 40-plus countries on the continent and in Africa. TMS supplies parts for the likes of heavy earth moving machinery, trucks, drilling machines, road making machines, cranes, engines, transmissions, undercarriage, forklift trucks, filters and GET, as well as competitive prices for caterpillar machines rebuilt to zero hours. Liege is a strategic location for the business as many major brands it supplies parts from have significant physical presence in the region. The central warehouse is the hub where all parts are processed and shipped directly to the end customer, with brands supplied including Hitachi, Liebherr, Komatsu, Atlas Copco and Sandvik, among many others. PW Nigeria’s suite of services is backed up by key support functions covering exploration and geological work such as mapping, geochemical surveys, elemental analysis and excavation of logging and trial pits. In the exploration arena, PW Nigeria offers a range of drilling services, from rotary core and reverse circulation to water boreholes and downhole surveys, among others. Much of this work is conducted through a joint venture with Meridian Drilling Ltd, a firm with vast experience operating across Europe, the Middle East and Africa. stablished in 1991 in Belgium, SMT provides a broad range of advanced products, services and solutions for the transport and infrastructure sectors across Europe and Africa. Reinforced by the operational agility of its dedicated sales and service network, SMT works in partnership with its customers, delivering value to improve their performance and support their growth. We are your partner of choice throughout the lifetime of your equipment, contact us for more information. 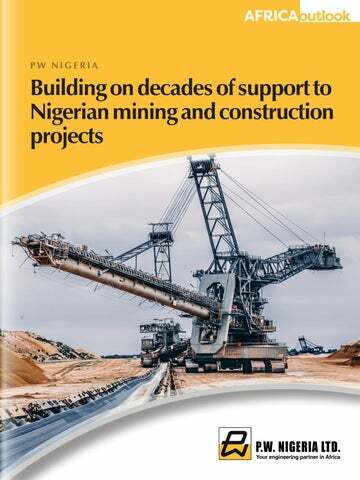 organisations.” By continuing to look out for both its own and local people, PW Nigeria will not only play an important practical role in the resurgence of Nigeria’s mining industry, but also in the development of the communities these projects impact.